Riverport Residential Cleaning - About Myhome residential cleaners in Huntingdonshire. We’re confident you won’t find a better domestic cleaning service! Based near St Ives but covering all of Huntingdonshire, we are well established in the region and take great pride in the quality of our work. 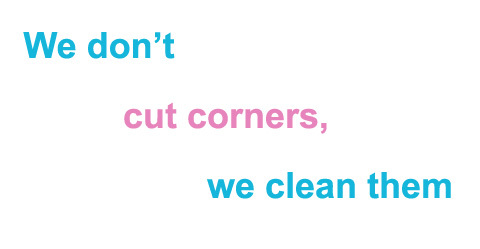 Our motto is ‘We don’t cut corners, we clean them’ which is why we have so many satisfied customers. This includes the BBC who, in 2012, asked us to do the cleaning for their ‘DIY SOS: The Big Build’ project in Huntingdon. It was an inspiring week and we were delighted to be involved in it. You don’t want just anybody in your home. All Riverport Residential Cleaning staff are full-time employees (we don’t use part time or casual staff) who have been through our strict vetting and selection process, including CRB checks. Needless to say, all of our cleaners are fully insured for your peace of mind. We tailor our cleaning services to meet your individual needs. We understand everybody has different requirements and priorities and we pride ourselves on arranging a cleaning service to suit you. All Riverport Residential Cleaning staff have completed our comprehensive training programme and use our Three Colour Zoning system to ensure a premium clean. Specialising only in domestic cleaning, we are experts in our field and will provide you with an exceptional service at competitive rates. For your further convenience and peace of mind we don't have an hourly rate - all our prices are fixed. This means that you pay a fixed rate for the work done. If you are not fully satisfied with the job, we’ll come back and put it right - free of charge! "CONTACT US NOW TO ARRANGE A FREE, NO OBLIGATION QUOTE"
Riverport Residential Cleaning Ltd, REGISTERED OFFICE: 15 Station Road, St. Ives, Huntingdon, Cambs, PE27 5BH. COMPANY REGISTRATION NO: 10007864. REGISTERED IN England..